We strive to provide complete top rated Chiropractic care for our patients. Learn more about all the services we provide. You may have discovered us by searching, "Chiropractor near me", from your mobile device. Dr. Daniel Anderson at Lake Tapps Chiropractic Center is a top-rated Chiropractor located in Bonney Lake who has been providing the very best quality chiropractic care to the families of Bonney Lake, Buckley, Orting, Lake Tapps, Puyallup, Sumner, and Enumclaw area for the last twenty-five years. Are you suffering from a new injury as a result of a car accident, hurt on the job or frustrated by ongoing chronic pain and unsure what to do next? 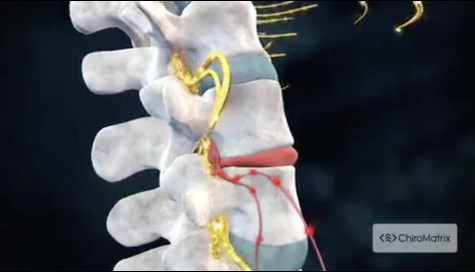 Chiropractic is proven to be an effective treatment for many common ailments including....neck pain, back pain, sciatica, shooting pain in the arms, joint pain in the shoulders and knees, headaches, scoliosis and carpal tunnel syndrome, pain resulting from whiplash in a motor vehicle accident and other ailments resulting from a collision or work injury. Located in the heart of Bonney Lake, the leading health professionals at Lake Tapps Chiropractic Center are dedicated to helping you achieve your wellness objectives -- combining skill and expertise that spans the entire chiropractic wellness spectrum from adjustments, massage to rehabilitative strengthening. Dr. Daniel Anderson D.C. is bringing you better health and a better way of life by teaching and practicing the true principles of chiropractic wellness care. 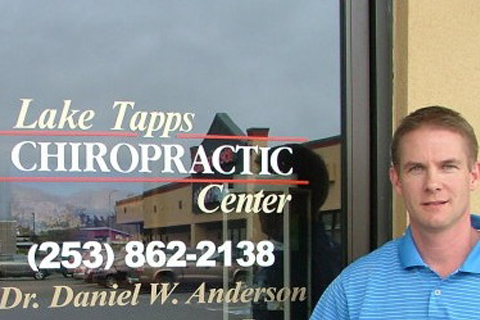 Patients seeking treatment at Lake Tapps Chiropractic Center with Dr. Daniel Anderson is assured of receiving only the finest quality care through the use of modern chiropractic equipment and technology. Dr. Daniel Anderson, has a genuine concern for your well-being! If you are new to our website, please feel free to discover and learn about chiropractic wellness. If you are interested in starting your journey towards wellness please subscribe to our award winning newsletter. If you are already a newsletter subscriber, please explore the member wellness section of our website for wellness articles, resources, and health facts---specifically targeted by Dr. Daniel Anderson to your wellness needs and interests. Dr. Daniel Anderson is a highly rated Chiropractor and preferred provider for Regence Blue Shield, Premera Blue Cross, Aetna and most other insurance plans. Doctors also provide treatment and rehabilitation for work injuries occurring on the job and is a Washington State L&I provider as well as treating whiplash injuries as a result of auto accidents.